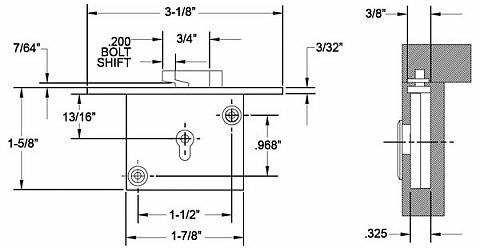 This lid lock is for cedar chests applications and other lid locking requirements. Application: For lid locking. Requires 11/32in. 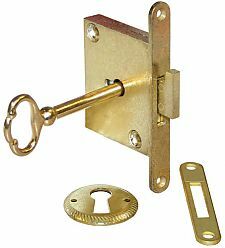 wide x depth of lock full mortise plus mortise for selvedge plus hole for key entry. Operation: Key removable in both locked and unlocked positions. Internal bolt type, engages strike. Packaging: Supplied with one key, appropriate strike, keyhole escutcheon and mounting screws. Note: This product is also known as NCL-C8384-3 on other websites.